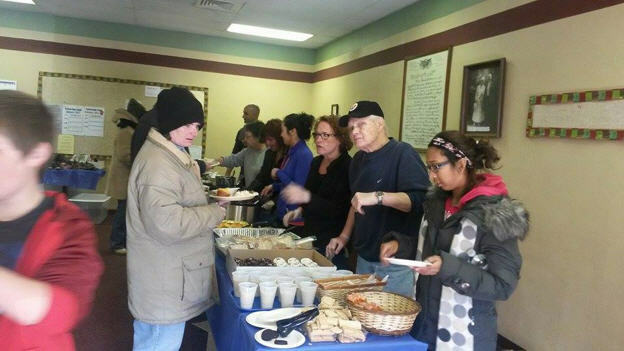 Love Train is an outreach program in Indianapolis helping to bring the community together and provide a helping hand to those in need. 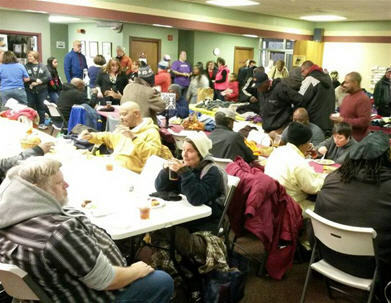 The program began with 5 people handing out sack lunches and blankets on a street corner to now serving more than 100 people in the community in need of food, clothing, books, and a helping hand. MarketVision’s Melinda Kizer coordinates and leads efforts for volunteers and guests. MarketVision and its employees regularly volunteer in our communities and we’re proud to be part of and support Melinda and her work with the Love Train program. Blue Ash, OH - - MarketVision Research is honored to be recognized by the AMA and Council of American Survey Research Organizations (CASRO) as a 2016 Top 50 Research Firm. Blue Ash, OH - - MarketVision is pleased to announce its selection as speaker at the 2016 The Quirks Event February 24th in Brooklyn, NY. Kurt Steigerwald will be presenting with Dave Norton from Stone Mantel about the 2015 Digital Consumer Collaborative, a partnership of major brands to understand the digital consumer. Blue Ash, OH - - MarketVision Research announces the promotions of several team members. Lisa Fridley has been promoted to Senior Vice President. Lisa leads the Marketing Science team for MarketVision and continues to demonstrate leadership for our clients, for high quality research, and for all of her colleagues. She has been an invaluable consultant to clients and our MarketVision teams in understanding each unique question and designing the right solution. She has developed a marketing sciences team and capability that is recognized in our industry for superior analytical research and consulting. And, she has been a consistent and reliable mentor and supporter of all MarketVision employees. Lisa does all of this with a high degree of humility, patience, selflessness, and authenticity. Joel Schindler, Ph.D. has been promoted to Senior Vice President. Joel has been with MarketVision since 2011 and has established himself as an expert in the very specialized and difficult market of rare diseases and high science medicine. Joel’s clients have come to rely on him to help them navigate the complex world of biotech and healthcare marketing and have learned to appreciate the unique talent Joel presents in helping them bring their products to market. Joel has been in the marketing research industry for over 15 years and worked in various capacities prior including faculty positions at several medical schools and serving as a program director at the National Institutes of Health (NIH). Joel holds a Ph.D. in molecular biology. Emily Taylor has been promoted to Senior Graphic Designer, Team Lead. Emily’s creative talents have earned praise from our clients and her skills help our team achieve excellence in quality and innovation of our proposals, reporting, and branding in the marketplace. She works collaboratively with other designers to bring about the best possible solutions for clients, and has demonstrated leadership and excellence in her work. Becky Schraffenberger has been promoted to Vice President. Becky has been an asset in designing and executing thoughtful research, and discerning key learnings for our clients since she joined MarketVision. In her new position she will formalize her role in also developing and leading other qualitative researchers as well. Becky exemplifies craftsmanship in her approach, and has been both a partner and a mentor to her colleagues. It’s been an inspiring year of giving and community service at MarketVision. Our latest community impact event included members from five different MarketVision offices volunteering their time with their local Ronald McDonald House. The Ronald McDonald House Charities have a mission of thinking globally, acting locally to provide resources for children and their families. It’s an organization MarketVision is proud to support.